Wes Ellis: What Would You Do? In light of my recent discussion on Facebook with some friends on the subject of nonviolence, I have decided to pickup a book which has been sitting on my shelf. I had planned on reading the Politics of Jesus by Yoder before I got to this one but this one is just so pertinent to recent conversations. It's called What Would You Do? 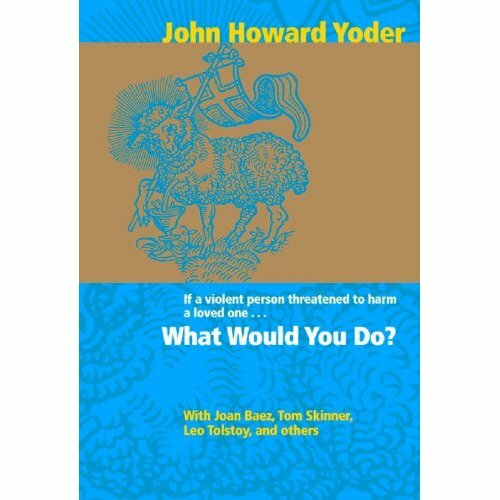 and actually the long title is If a Violent Person Threatened to Harm a Loved One... What Would You Do? It's John Howard Yoder's attempt to take the quandary ethics "what if" question seriously and to approach it responsibly in the realm of ethics. Hopefully it will help me better offer my perspective in light of the "what if" questions. Perhaps, if it calls for one, I will write a review when I'm done.